In the hours after one presidential debate recently, Google searches for "how can I move to Canada" reportedly spiked 1,150 percent. We have nothing against Canada. But it should be said: There are warmer, better-value options to consider ... all over the world. Each year at International Living we release our Global Retirement Index. Researched over months with the help of our ever-growing team of correspondents, editors, and contributors all over the world, this Retirement Index is the ultimate resource for helping you find your ideal retirement haven. In welcoming, good-weather escapes from Europe to Latin America to Southeast Asia, you can live better than you do now -- for half the price. All 23 countries featured in the Index are terrific retirement destinations. Here we give you a taster of three top choices to consider -- all three made it into our top 10 in the Index this year. In Ecuador, you'll not only be in the middle of the world, but you could be on top of it. That's because thanks to its location on the equatorial "bulge," the peak of the country's 20,564-foot Mt. Chimborazo is the point on the Earth's surface that's the farthest from the Earth's core and closest to the sun. There truly is something for everyone here. Mountains, beaches, rainforests, cities, and small towns ... all with a price tag nearly anyone can afford. By the way, Ecuador's currency is the U.S. dollar -- no currency conversions necessary. Arguably, Ecuador offers the world's best climate choices in its four distinct regions, from Amazonian rainforests in the east (El Oriente) to warm coastal lowlands (La Costa) in the west and the Galapagos Islands, 600 miles offshore. 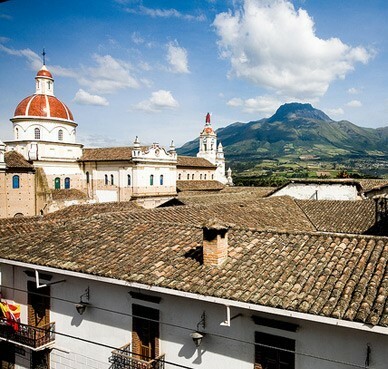 The Andes Mountains cut right down the middle of the country from north to south, and in this La Sierra region you'll find the temperate weather patterns that give Ecuador its status as the "Land of Eternal Spring." Ecuador has only two seasons: dry, from June to September, and wet, from October to May. On the coast, daytime temperatures typically range in the mid-80s and only occasionally the mid-90s. But in the Sierras, daily temperatures hover near 75 F.
This near-perfect weather contributes to a low cost of living in Ecuador. If you don't need heat or air conditioning for your home, your utility costs are negligible. "Our electric bills are rarely more than $24," says International Living editor Suzan Haskins who lives in the Andean village of Cotacachi. "And the only heat we need is for hot water. We can easily live on less than $1,500 a month (excluding rent as we own our condo), and that includes local transportation and evenings out. Suzan's budget doesn't include health insurance, but that's affordable in Ecuador, too. You can buy private insurance for typically one-half to one-fourth the cost you may be paying now in the U.S. for instance. Or you can opt to use Ecuador's national social security healthcare system for an average cost of about $70 a month. If you are over 65 and have a resident visa, you can take advantage of Ecuador's retirement benefits program. You can get discounts on domestic airfares and internationals airfares that originate in and return to Ecuador. You'll be eligible for a free landline telephone, 50 percent off public transportation, admission to sporting and cultural events, reduced utility bills, and more. If there are any challenges to living in Ecuador it's that some of your favorite items are either unavailable or more expensive than at home -- things like your favorite brand of peanut butter for instance. 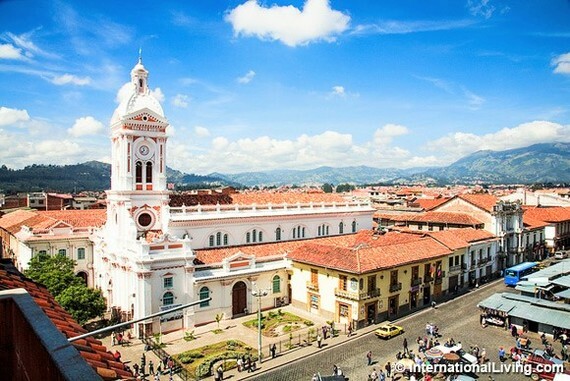 But weigh that against amazing geographic diversity, tremendous overall affordability, and the world's most perfect climate, and it's hard to complain about anything in Ecuador. 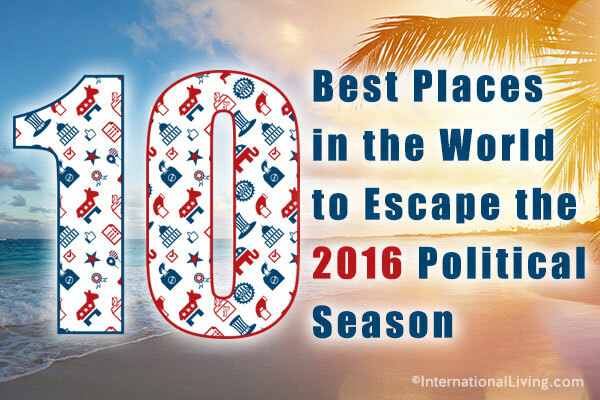 Every year, more and more expats are waking up to the amazing opportunities Malaysia has to offer. The country has one of the most robust economies in Asia, and this is reflected in the consistently high standard of living available to locals and expats alike. Quality of life in Malaysia is cost-efficient as well as excellent. In typical expat locations such as Kuala Lumpur and Penang, high-quality real estate is available for rent at a low cost. Why buy when you can rent a 1,600-square-foot apartment with a swimming pool for just $850 a month? On a modest budget, you truly can savor a life of luxury here. With your money going further, you can afford to treat yourself to the stunning array of local food -- which mirrors Malaysia's diverse cultural make-up. For as little as $5, you can enjoy an excellent meal, with a bottle of wine setting you back the same price. The street food is similarly scrumptious and one of the true charms of Malaysian cuisine. 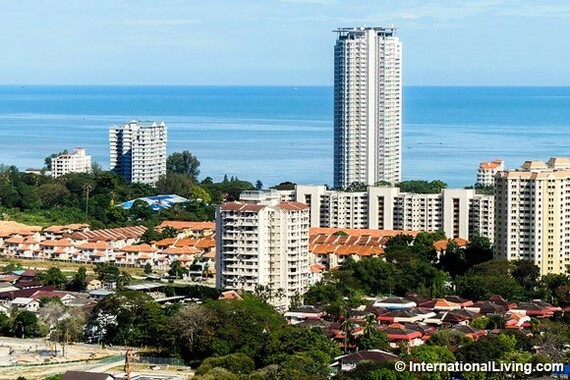 "In Penang, we spend anywhere from a quarter to a third of what our monthly budget was back in Chicago," says International Living's Malaysia correspondent Kirsten Raccuia. "For a three-bedroom, three-bathroom, 2,300-square-foot apartment overlooking the ocean and the jungle, we pay about $650 a month. Depending on the week, we spend about $20 in groceries, and if we don't feel like cooking dinner, we can go out to one of the fabulous hawker stalls. A feast for two, including drinks, costs just $12." The country makes a perfect base from which you can explore the innumerable natural, historical, and cultural treasures that Southeast Asia has to offer. The proliferation of cheap Asian airlines in recent years has made it easier (and more affordable) than ever to explore Thailand, Indonesia, India, and Japan. In Malaysia, Asia is truly at your doorstep. Direct flights to the U.S. are also available, so getting home for the holidays needn't be a concern. Neither is Internet access, as every year high-speed Internet makes more and more inroads into the country. It's already widely and cheaply available in popular expat destinations like Kuala Lumpur and Penang. As a throwback to the British colonial period, English is widely spoken by locals, making it all the easier to adjust and find your way around. And cities like Penang have plenty of social occasions and festivities for you to enjoy, perfect opportunities to mingle with locals and expats alike. Because of its easy mix of the archaic and modern, Malaysia has been described by expats as stepping back in time, yet with all the benefits of modern comforts. Twenty-first century conveniences abound, but Malaysia holds onto enough of its Old-World, Asian charm to make it a real haven for those eager to experience new cultures and traditions. The public transport network is comprehensive -- you don't need a car, particularly in the cities. And the quality of the roads is first-rate, so if you do decide to invest in a vehicle, dirt tracks won't be an issue. Healthcare quality is similarly top-notch, particularly in the larger cities, where it is comparable to that in any First-World nation. A doctor's appointment will set you back as little as $15. For those seeking sun and affordable living in Europe, Spain remains by far the best option available. "Spain is a great favorite with many people, including me," says International Living Editor Glynna Prentice. "It has the rich history and traditions that you expect from Europe, and all the First-World conveniences. But it also has a fun-loving, late-night culture, wonderful food, and people who place great value on family and friendships, and that's very appealing." Although not as cheap as in most of Latin America, property in Spain is often of a high standard and far better value than in many other European countries. Likewise, Spain's cost of living is lower than what you find in much of Europe. A couple can live comfortably in many cities in Spain for about $2,600 a month, including rent, making Spain a great warm-weather, low-cost choice for anyone who wants to spend time in Europe. For years, Spain's famously warm climate has been attracting expats from colder climes. So if it's sun you're after, you can do much worse. The aptly named Costa del Sol ("Coast of the Sun"), a 100-mile stretch along Spain's southern Mediterranean coast, is blessed with some of the best summers (and beaches) in the world. But even the more northern reaches of the country (such as Catalonia and parts of the northwest coast) provide tee-shirts-and-shorts weather late into the year. Winters in these areas are never worse than mild. Spain is truly a country that has it all. 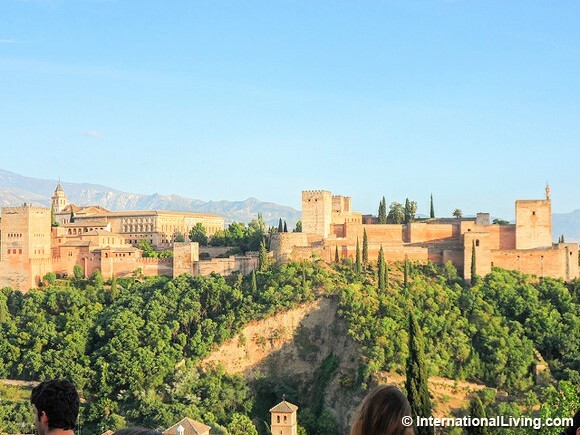 "Whether you want to dine like royalty in San Sebastián, ski in the Pyrenees, run with the bulls in Pamplona, explore museums in Barcelona, hit the beach in Alicante, or wander Moorish palaces in Granada, Spain delivers," says Glynna. "Spain is incredibly diverse, with something to suit everyone." Spain's people, cityscapes, and famed food draw influence from the many groups who have settled there over the centuries: Basques, Moors, Celts, Catalans, and others, with each region flavored by its own identity. It all guarantees you have plenty to see and do. For lovers of wide-open spaces, Spain's vast, photogenic landscapes are a hiker's heaven. Owing to its location at the meeting point of Eurasia and Africa, it also boasts some of the best bird-watching on the planet: Each season brings different feathered treasures, as they migrate from one continent to the other. All the First-World amenities you would expect of a European country are abundant in Spain. The internet is reliable and fast, with coverage everywhere. Public transport is so efficient that you only need a car in the most remote regions. Home comforts -- U.S. television, movies, and music -- are easy to come by, too. Spain's healthcare system is routinely recognized by the World Health Organization as one of the best in the world. To find out more about the above countries and to discover the seven other winners, check out International Living's Global Retirement Index 2016.